Because TTP adhesive lined heat shrink tubing fully adhesive lined it therefore provides maximum protection from moisture and water. Due to its 3:1 shrinkage ratio it is ideal for most heat shrink applications. Manufactured with a dual wall of Polyolefin outer and a hot-melt adhesive inner lining. 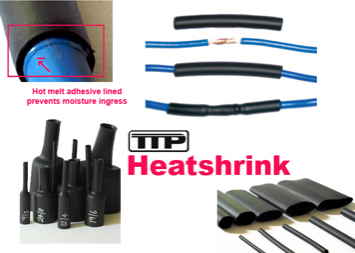 TTP Heatshrink is designed to insulate and seal electrical and mechanical components against water and moisture. Furthermore it is flexible and flame retardant. include general electrical insulation, mechanical protection, cable and harness bundling. Adhesive lined heat shrink tubing is widely used in marine, automotive, electrical and general industrial industries. TTP Heatshrink is UL approved, manufactured in an ISO9001 quality environment and is fully RoHS and REACH Compliant. TTP Heat shrink comes in a large range of sizes from 3mm up to 50mm. 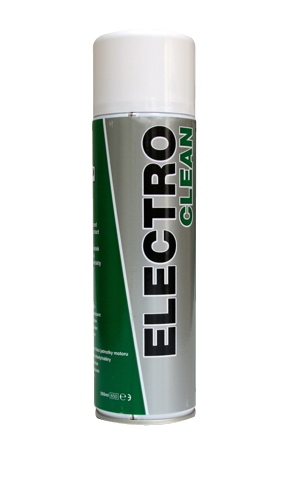 Each sizes comes in a convenient 1.2mtr tubes allowing you to cut the exact length you need. 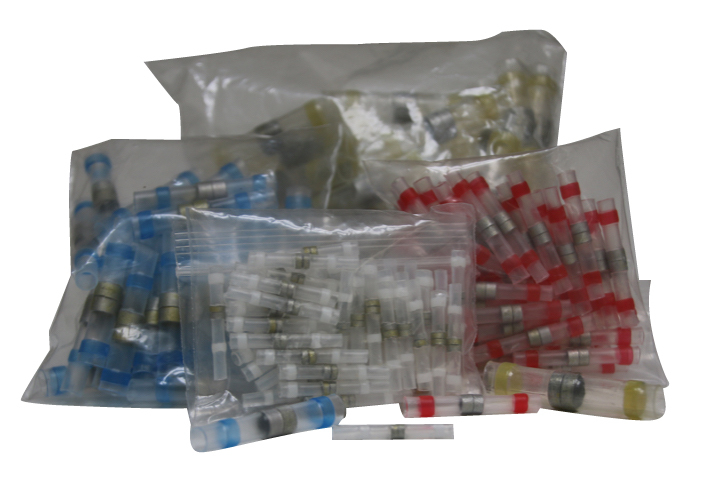 Heat shrink kits are available containing 120 pieces of mixed sizes.